Stimulating, thought-provoking and long-overdue were surely the sentiments of those in attendance during the Reviewing the Arts debate held at Spazju Kreattiv. The public talk formed part of an ongoing initiative by Arts Council Malta and the Department of English at the University of Malta in a bid to reflect on and draw attention to the state of arts criticism locally and to consider what measures can be taken to improve the current situation. The event was pitched as a conversation between distinguished academics, critics and artists and thrust into the public domain a pressing concern within the arts community and one that is all too often discussed in hushed tones or behind closed doors. 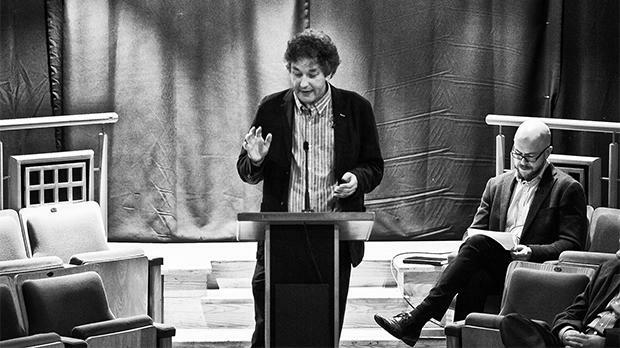 The debate, styled as a roundtable discussion in the aptly chosen theatre-in-the-round, was chaired by James Corby, head of the Department of English. In his opening address, Dr Corby explained that the reason for organising such an event stemmed from an urgency to address the situation of arts criticism publicly. This would put arts criticism at the forefront of discussion within the arts community and also outside it, which would in turn encourage healthy critical discourse. While stressing that animated discussion would benefit the arts community enormously, Dr Corby foregrounded the importance of quality in artistic production while simultaneously calling for an interrogation of what ‘quality’ itself constitutes. This would result in an elevation of standards for practitioners of the arts and also for audience expectation and create a cultural space for trenchant critical discernment. Dr Corby then introduced the keynote speaker for the event, Mark Fisher, a theatre critic based in Scotland and author of How To Write About Theatre, who was in Malta to deliver a three-day workshop to University students on how to write about the arts. In his speech, Mr Fisher drew attention to the fact that the arts do not exist in a vacuum and that critics have a responsibility to consider not just the artwork itself but also the factors external to it, namely the moment in which it is performed or viewed and the mood of the times. He also stressed that the cheek-by-jowl relationship of art to society should not be overlooked or dismissed too hastily. Mr Fisher then elaborated on the critic’s role which is not simply to evaluate and cast judgement on the quality of an artwork but also to see the ‘bigger picture’ in order to comment on its extra-textual layers. He also referred to the ‘us vs them’ divide, typical of critics and artists, in relation to the wider world and spoke of the critic’s duty which is to expound on what an artwork could mean for the audience in the place and in the moment at which it is conveyed. Countering the still-prevalent image of the critic as anathema, Mr Fisher stressed that the critic should always start from a position of respect and must be sensitive to both the artist and the work produced. 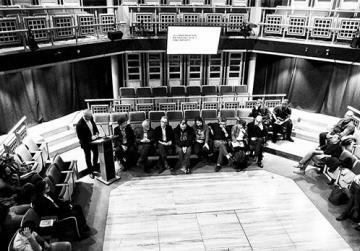 Throughout the debate, panel and audience members alike referred repeatedly to the amateurish nature and primitiveness of the arts criticism scene in Malta, particularly when making comparisons between local standards and those benchmarks established and upheld beyond our shores. Indeed, during the debate, the professionalisation of arts criticism on a local level was proposed as a possible solution if we are to give our local productions a fighting chance against foreign ones. This, however, brought into sharper focus the question of institutionalisation which in turn raised renewed fears of nepotism and bias. Moreover, the perceived deficiency of expertise within arts criticism was also slammed together with dilettantism and the self-stylisation of critics in Malta. The dismal number of active critics was also flagged up as a potential detriment to arts practitioners who are all too often presented with one, or at best two, critiques of their work and that are generally replete with fulsome praise. At the same time, it was stressed that overly harsh or vituperative criticism is not acceptable but that neither should the critic engage in genteel commentary that shies away from robust critique. As a final provocation, Dr Corby put forward the suggestion that perhaps it is now time to explore other avenues for the dissemination of criticism aside from newspapers, particularly given limited funding for arts columns and declining readership. While the debate lasted just short of two hours and flagged up a number of pressing concerns, it was made abundantly clear by the end that this was only the start of many discussions to be had on the subject. Despite the palpable levels of dissatisfaction and frustration expressed, a degree of relief and a sense of optimism washed over the attendees. This first conversation had set the wheels in motion for further discussion on one of the foremost talking points within the arts community.